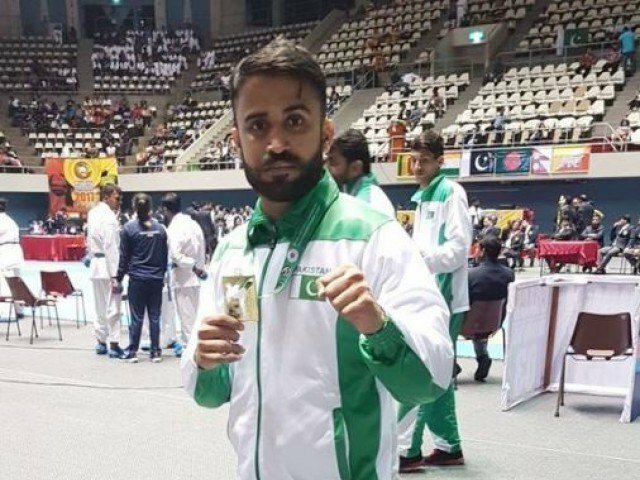 Saadi Abbas believes Pakistani karatekas have given the country their ‘Independence Day gift’ as the team wrapped up the South Asian Championship with six gold, eight silver and 11 bronze medals in Colombo, Sri Lanka. Abbas, who also won a silver medal at the Islamic Solidarity Games in May, believes that this has been Pakistan’s best show at the South Asian Championship to date. He further admitted that the level of competition has improved in the region and the tournament was not an easy one to win. The discovery of the championship was Lyari’s 16-year-old Shahbaz Khan who won the gold medal in the boys’ juniors -61kg event to impress Abbas. Meanwhile, Kulsoom Hazara ended up winning the gold medal in -64kg event as she completed her hat-trick at the South Asian Championship. “I’m just glad that I’ve won this event for three years straight,” said Hazara. Pakistan men’s and women’s team also won bronze medals in kata event, while Baz Mohammad took the gold medal in the +84kg men’s event. Naseer Ahmed bagged a gold medal in –67kg competition, while Nargis Hazara also won a gold medal in -64kg U21 event. Besides Pakistan, hosts Sri Lanka, India, Bangladesh, Nepal and Bhutan were participating on the championship.